Synopsis – Imagine that your husband wrote you a letter, to be opened after his death. Imagine, too, that the letter contains his deepest, darkest secret—something with the potential to destroy not just the life you built together, but the lives of others as well. Imagine, then, that you stumble across that letter while your husband is still very much alive. Another book I loved by this author. 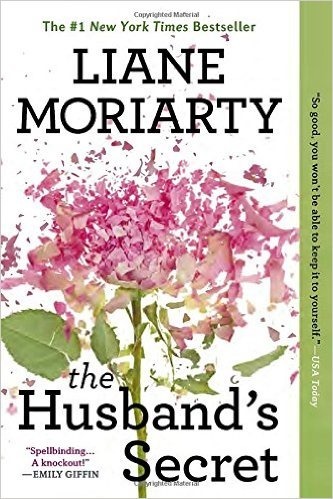 This is the third book I’ve read from Moriarty, and she has a way of talking about big social topics within an approachable set of characters. Her books are always entertaining and it makes you think even after the book has ended. This is why I love her books. I listened to the audiobook and this has made the book so much better. The reader’s accent, the conversation, the tone and etc…..makes everything come alive. I didn’t know the “secret” until it was revealed, but then, I wasn’t really trying hard to think about it, I was just letting the story flow as each chapter comes and once the secret was told, I thought “oh yeah, I could have put the stories together and figured it out”. Favorite quote –> “None of us ever know all the possible courses our lives could have, and maybe should have, taken. It’s probably just as well”. Synopsis: One woman sets out to complete her old list of childhood goals, and finds that her lifelong dreams lead her down a path she never expects. To obtain her inheritance, Brett must complete the remaining ten items on her list of life goals that she wrote as a teenager – within a year! I enjoyed this book but thought it was a few chapters too long. The concept of having a life list is great, but bucket lists are usually made in our adult years, so it’s interesting to read about someone forced to complete a bucket list that was made during their childhood. A few items on the life list seemed unrealistic to me and there were a few times when I thought she had met “the one”, I ended up being wrong and disappointed. 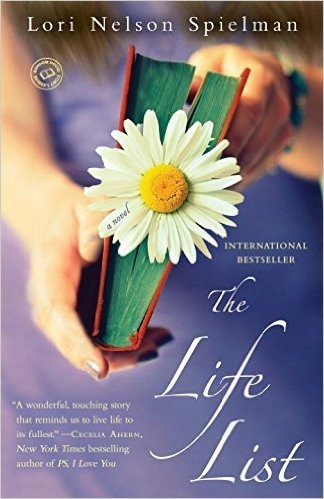 Overall, I enjoyed the story about the decisions we make in life, our search for happiness, and what really matters in the end. i love and appreciate your book reports! the husband’s secret has been on my list for quite a while. gonna add that one back to my library queue! Fyi, The Husband’s Lie is on sale today for Kindle at $1.99.